Be the first to hear about their new releases and deals. 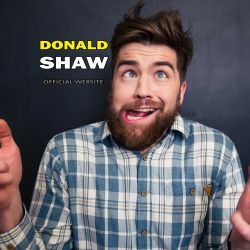 Download the Booksprout app and search for Donald Shaw today! Donald Shaw is a professional master of ceremonies and a comedian. He is an open-minded and friendly person who loves good jokes, sea diving and traveling most of all in his life. He wrote his first book of funny rhymes at the age of 9. His Dad helped him to print the book in 2 samples. One was sent to the school contest and another one still stays in the home of Donald's Dad. That book has won the first prize in the school contest. Years later, Donald realized he always wanted to write funny books. So he started doing it at the professional level.